Nias Island, Indonesia - Still recovering from the devastating 2004 Indian Ocean earthquake and tsunami, Indonesia became another casualty to a natural disaster. On March 28, 2005 the island of Nias, on the western coast of Sumatra, was hit by an 8.3 earthquake. 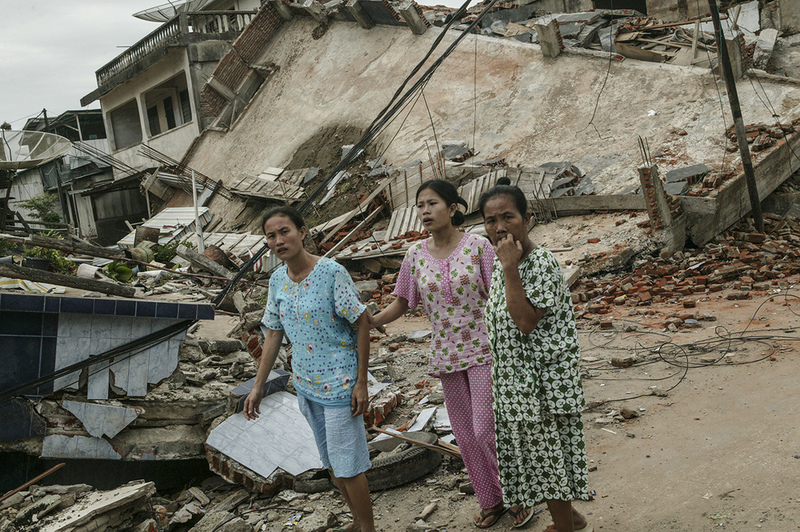 This earthquake resulted in approximately 1,300 deaths and became the third most powerful earthquake since 1965 in Indonesia. A woman grieves the loss of a loved one. Locals ride by a collapsed building. 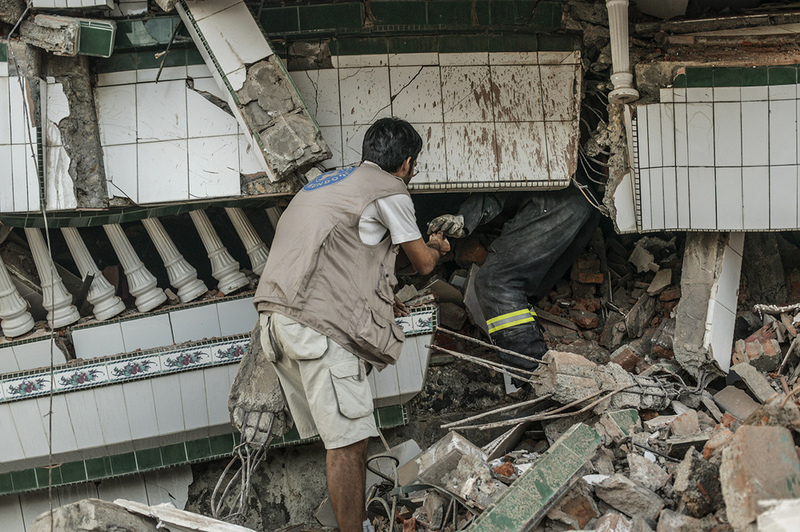 A Spanish search and rescue team searches a collapsed building for survivors. Spanish and Norwegian search and rescue teams search a collapsed building where screams for help were heard by locals. It was decided there were no survivors. 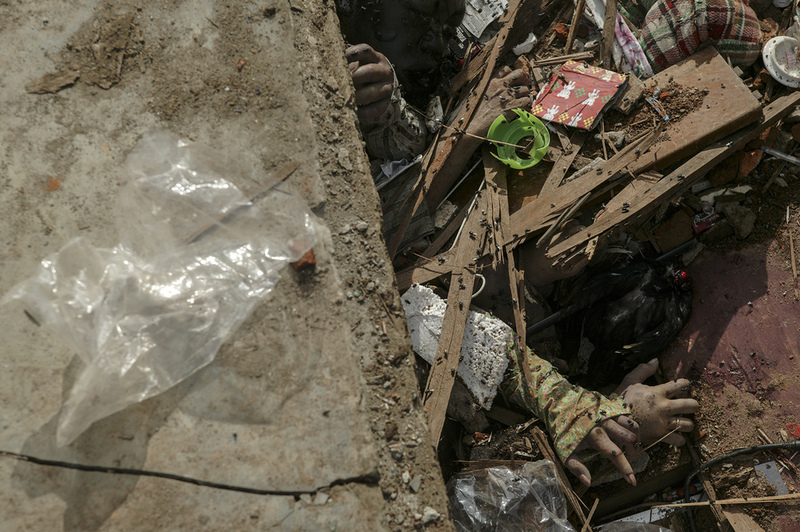 A family grieves as a deceased family member is extracted from the collapsed section of their home. 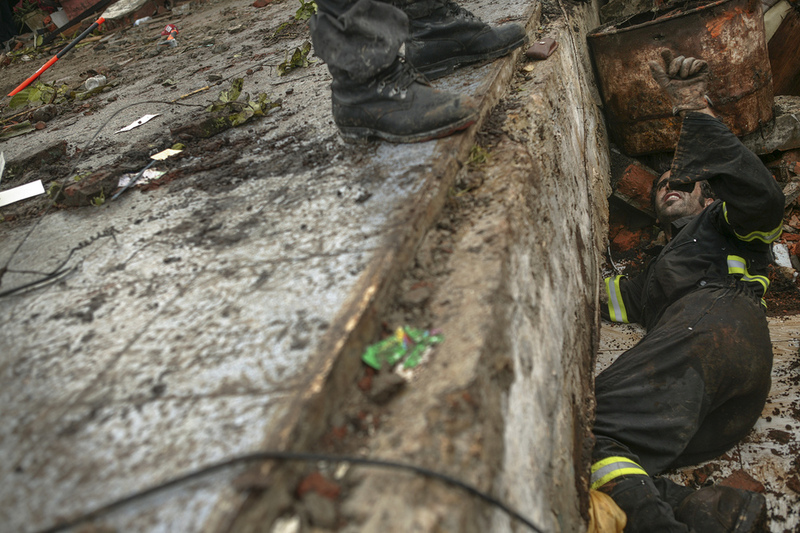 A man watches as a deceased family member is extracted from the rubble of a home. An injured man being fed by a family member at the hospital. Injured survivors by candlelight at the city's local hospital. 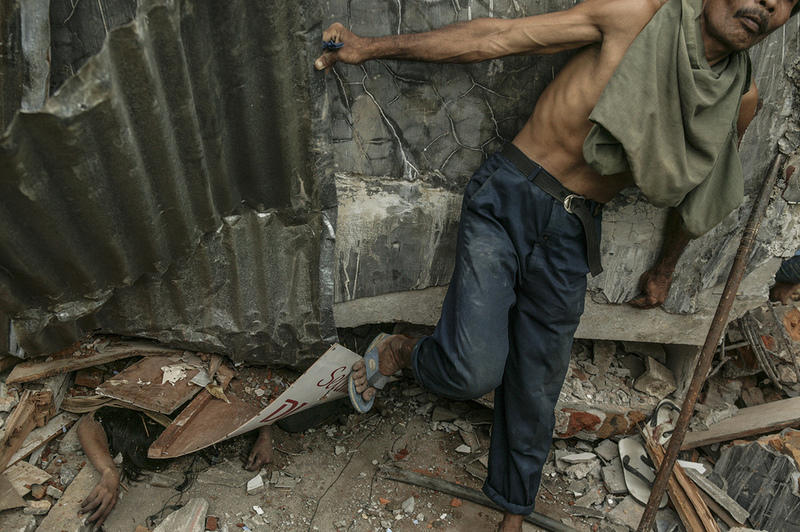 The hospital ran without electricity for the first three days after the earthquake. Most of the hospital rooms were destroyed so patients were treated in the lobby area. 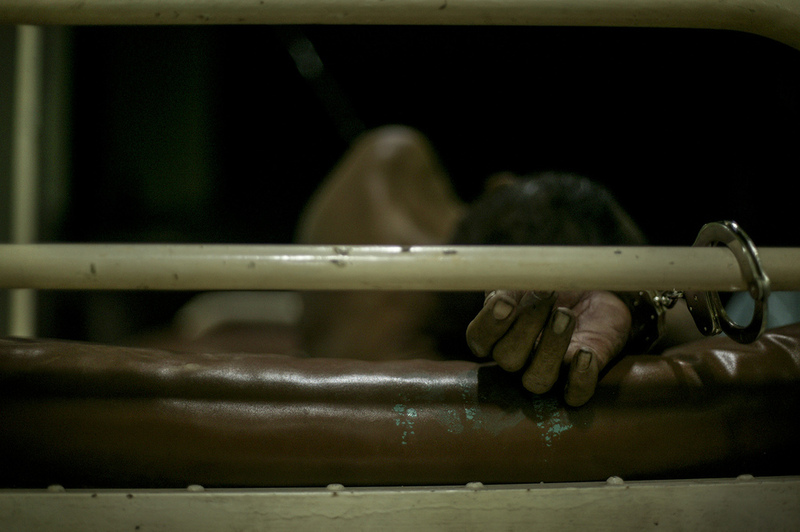 An injured man is cuffed to a hospital bed. A boy stands in his own diarrhea as he waits for treatment. A father next to his injured daughter at a makeshift hospital where they wait to be evacuated. The injured are transported onto helicopters for transportation. Injured survivors wait for helicopter transportation. Locals watch as injured survivors are airlifted by helicopters.